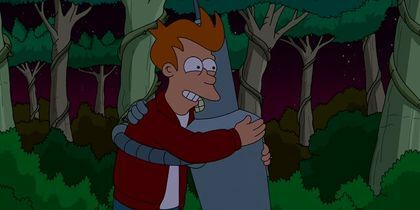 S10/E5: Bender unintentionally rescues a miner from a fiery helium mine. 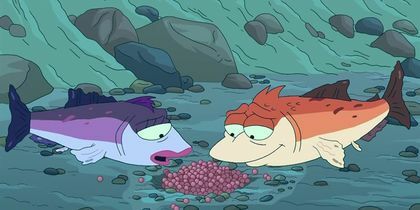 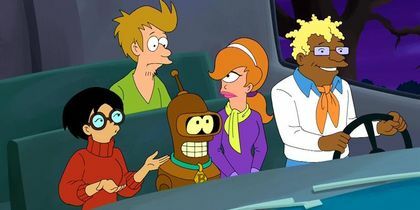 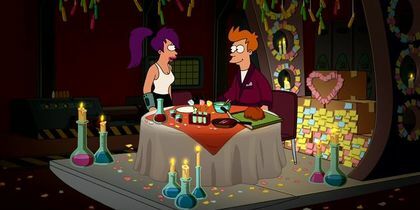 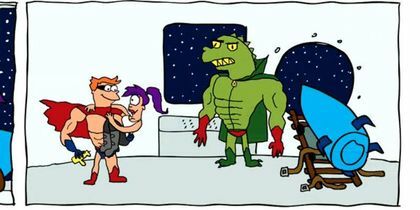 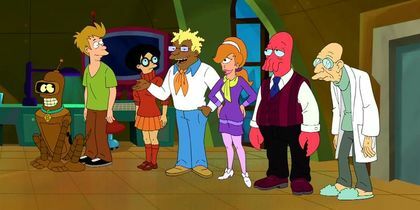 S10/E2: Fry and Leela enjoy a romantic evening alone with Scruffy, Bender and Zoidberg. 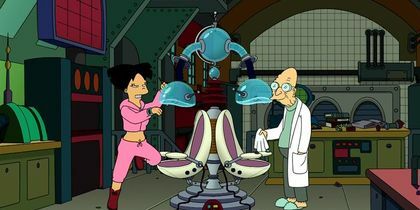 S10/E1: The crew throws out the ship and Professor goes with it. 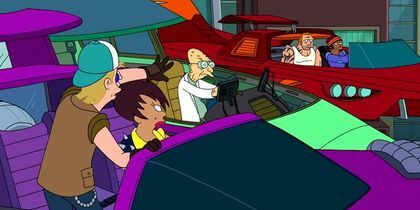 S10/E1: Professor shows off the updated ship in a street race. 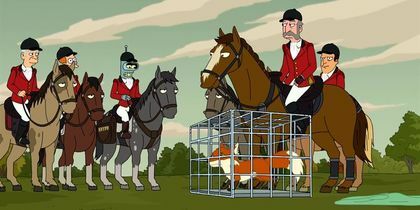 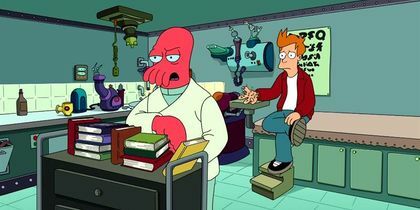 S8/E10: Fry pays a visit to Dr. Zoidberg, which leads to several more visits to Dr. Zoidberg. 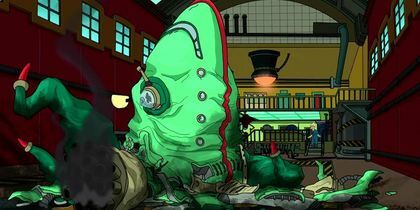 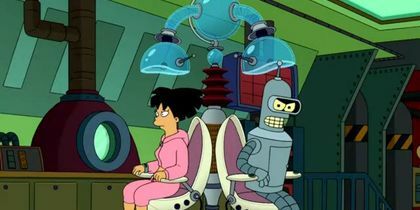 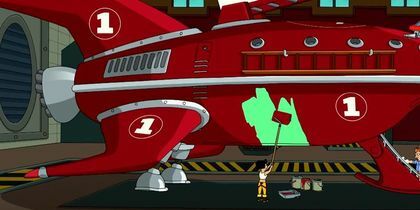 S7/E12: Leela and the rest of the Planet Express crew discover the horrible conditions in which mutants are forced to live. 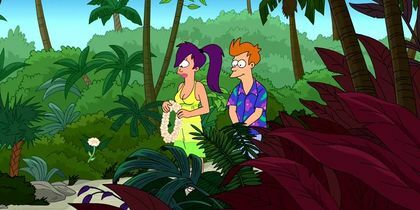 S7/E12: Leela attends the Annual Astor Endowment Fundraiser, but once high society discovers she's a mutant, Leela's handed over to the police for permanent deportation. 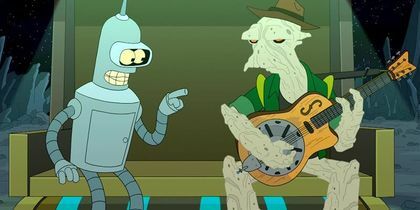 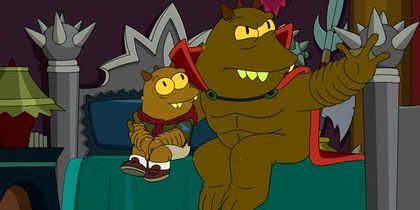 S7/E11: Lrrr goes full midlife crisis mode, and of course Bender's getting in on the action. 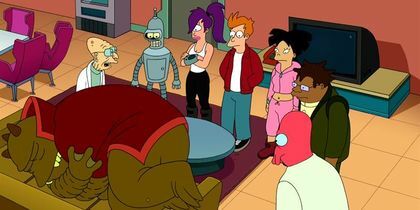 S7/E10: Professor Farnsworth wants to live his youth and Amy wants to eat mass quantities of food. 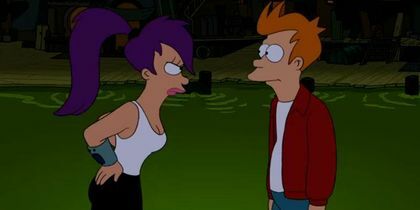 The only obvious solution is for them to switch bodies. 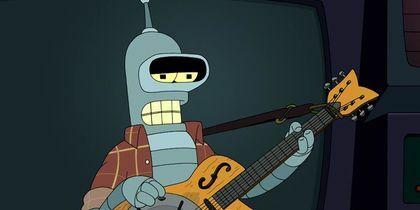 S7/E10: Bender decides to join in on the mind switching for nefarious purposes. 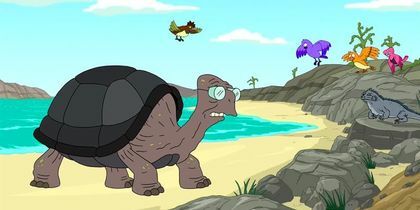 S7/E9: Dr. 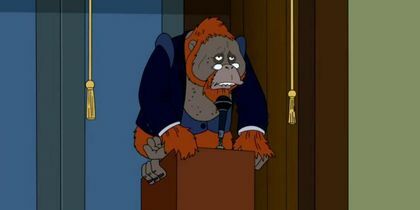 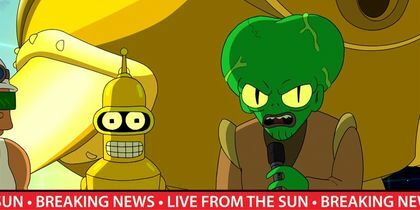 Banjo claims that Professor Farnsworth's findings disprove evolution.